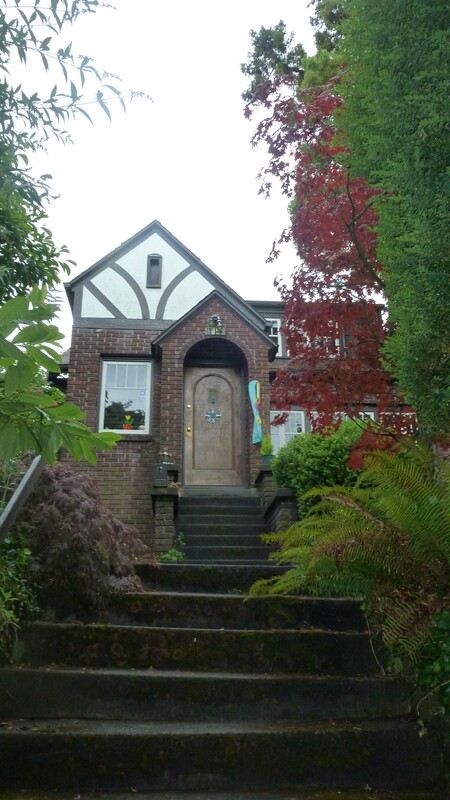 This residence has been converted from a craftsman to a Tudor revival style. It does not contribute to the Montlake Historic District. 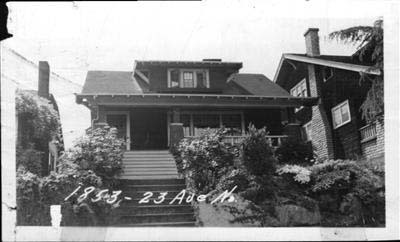 The earliest known owners of this house were Walter G. & Evelyn Weatherston in 1928; he was a salesman for Kelley Clark Co. It was owned by Arthur W. Wiggers, an engineer for General Appraisal Co., and his wife, Marie, in 1938. The owners in 1948 were Edward L. & Frances Basch. In 1958, it was owned by Leslie S. & Shirley Bannister of Aspenwall & Bannister. This house sits high above the street on a property with a rockery and dense vegetation. It has been substantially altered from a full-façade porch, side-gabled Craftsman style house to a Tudor Revival style house with half-timbered front gable. The 1.5 story house is clad in brick veneer and clapboard, and is generally rectangular in plan. The front (NE) façade has a brick-clad, half-timbered front gable addition with a rounded entry and gabled vestibule. All windows have been replaced with vinyl sash.